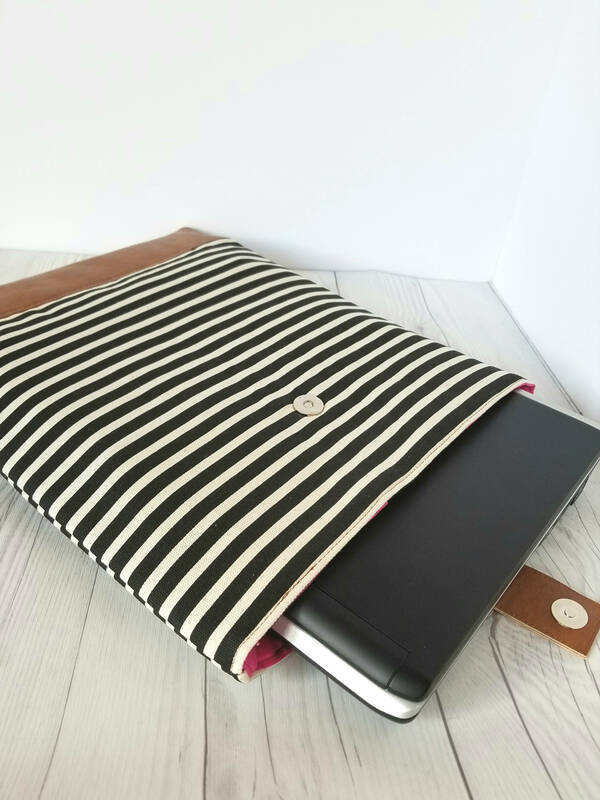 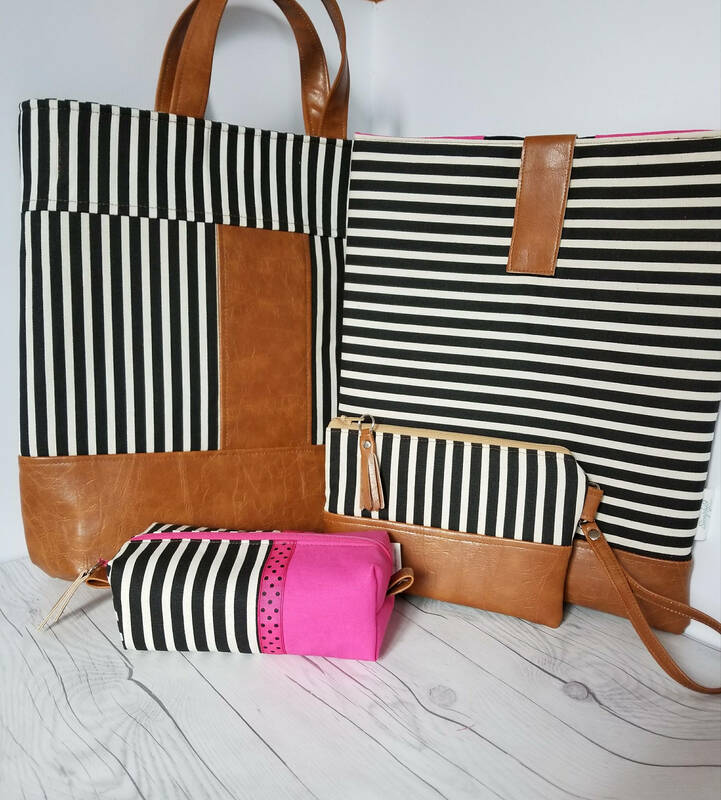 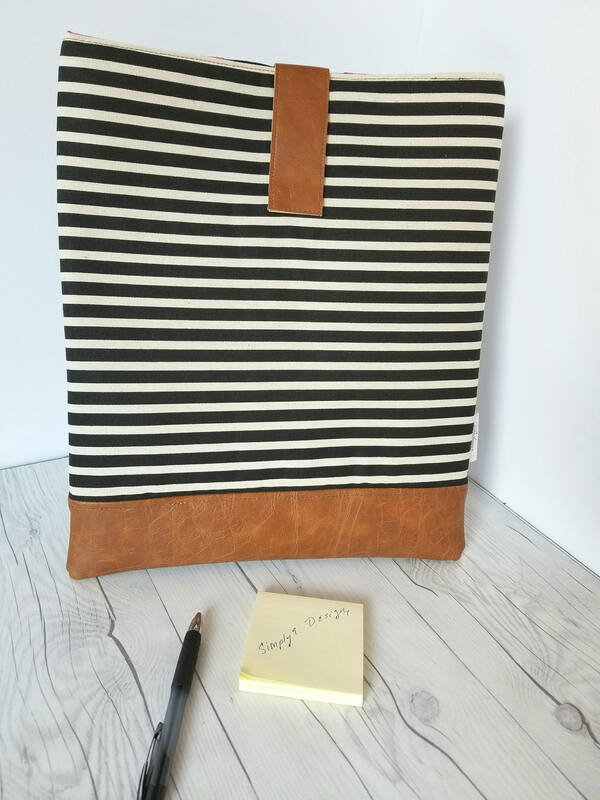 This black and white striped and brown faux leather laptop sleeve that is both stylish and functional can be used as a laptop case, tablet sleeve / case and Macbook sleeve / case. 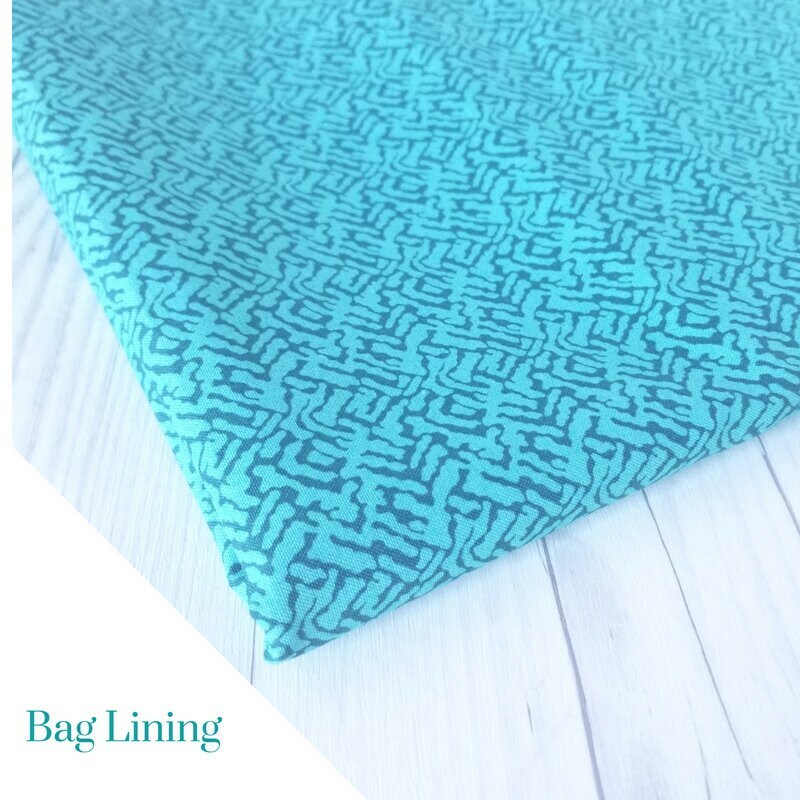 All sleeves / cases come with a beautiful lined surprise fabric. 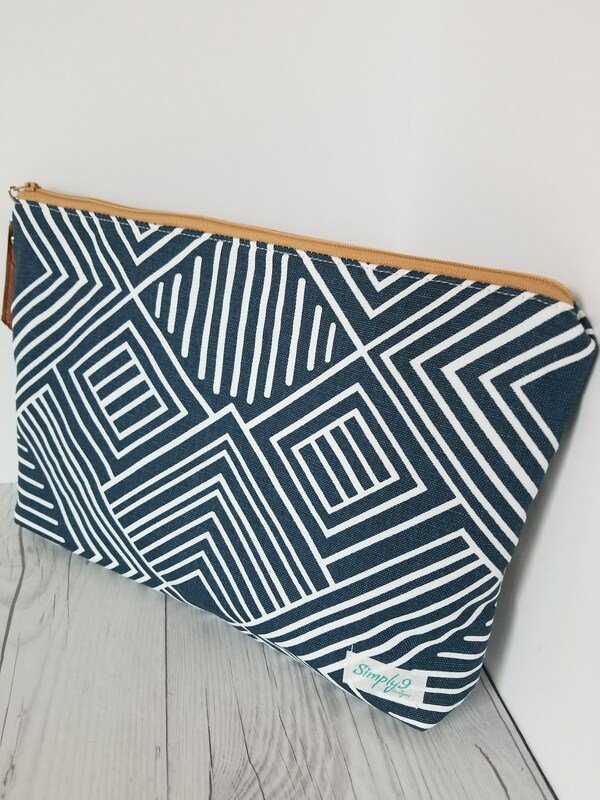 This laptop sleeve can be paired with any of are large styles totes, work bags and/or travel bags. 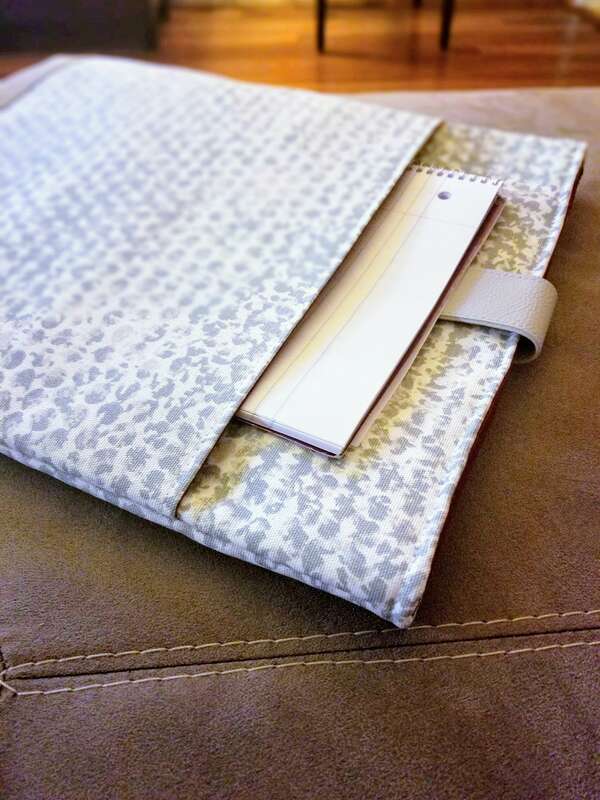 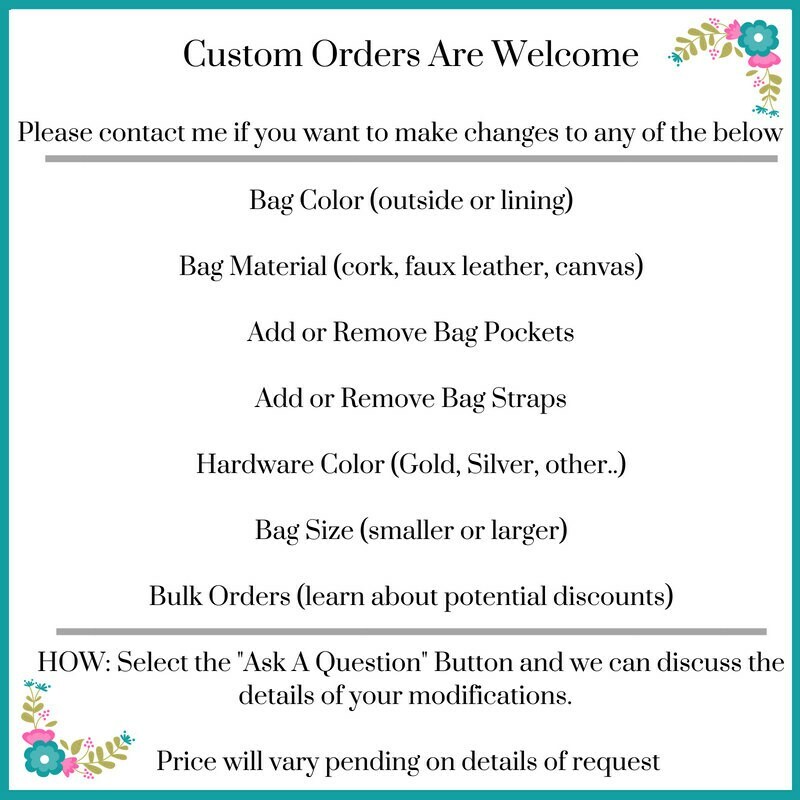 The computer sleeve is made from high quality materials and the owner worked with me to make sure the sleeve was designed to fit my laptop perfectly. 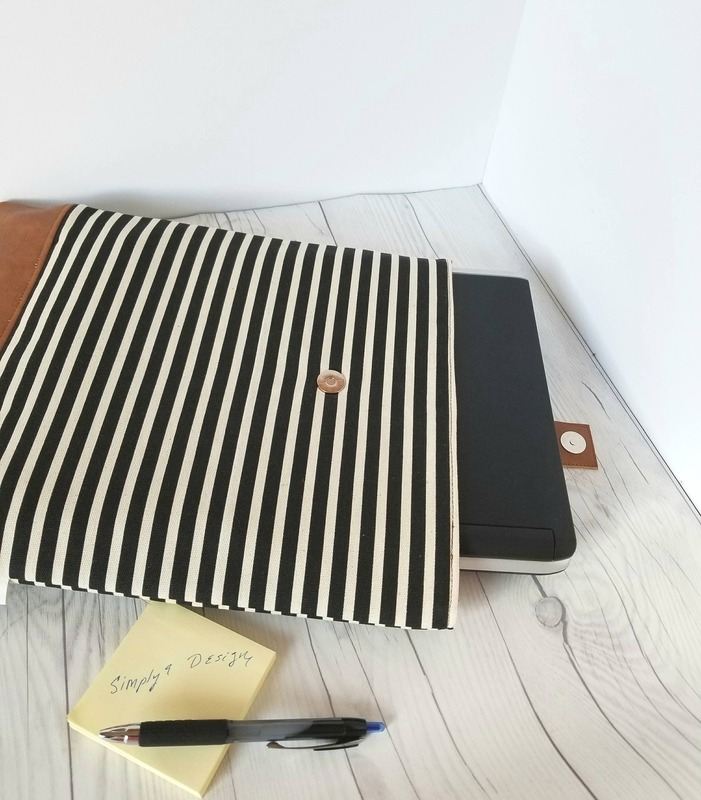 It could use some additional padding, but I still find it keeps my laptop protected.